When the weather turns cold in South Carolina, that doesn’t mean it’s time to stow all your camping gear for next season. In fact, some may agree that the best camping weather has just begun. 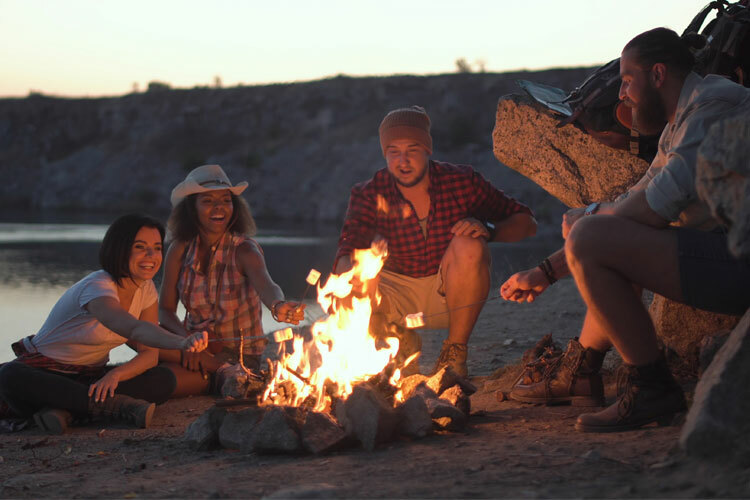 South Carolina’s typically mild winters mean prime camping opportunities year-round, especially when you can cozy up in a cabin to chase the winter blues away. Book your cold weather retreat at one of these 10 best winter cabin camping spots in South Carolina. One of Oconee County’s best-kept secrets, this secluded getaway features some of the best mountain views in the Upstate. Nestled in the Blue Ridge Mountains in Sumter National Forest, guests come here to unwind while enjoying the sounds and scenery of nature. The cabins are located within a short drive to some of the area’s best hiking, waterfalls, and other outdoor activities. Another mountain escape, Solitude Pointe lives up to its name. 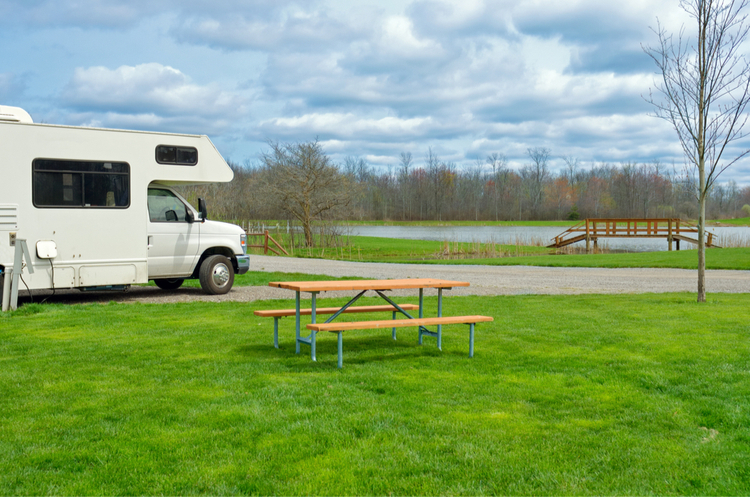 The campground features plenty to do for all ages, including a playground, nature trail, yard games, and fishing dock. 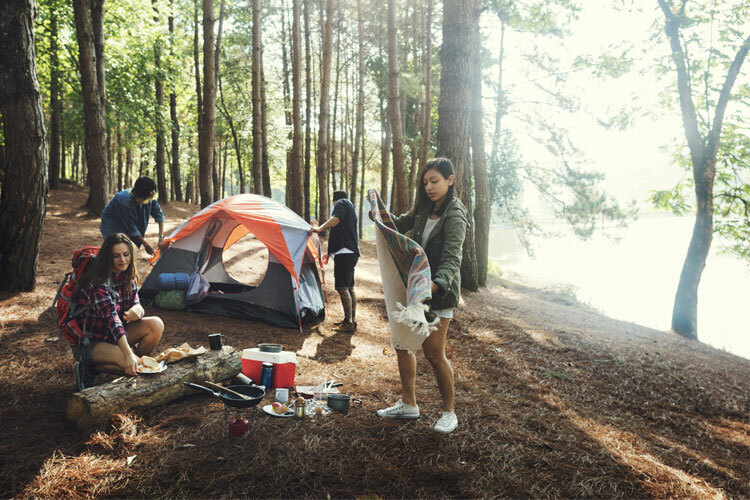 The area is also close to some of the Upstate’s best state parks, where you’ll find hiking trails, rock climbing, and other fun activities to round out your camping trip. Finding your perfect camping cabin is easy at Hickory Knob. The state park is typically much quieter in the winter, making it an ideal spot for those looking to escape the everyday drill. Each cabin offers Wi-Fi, full bathrooms, fully stocked kitchen (minus the food), and other amenities to make your stay the next best thing to being home. Look closely and you may feel like you recognize River Bottom Farms from a certain popular cartoon. That’s because the campground is modeled after the fictitious Jellystone Park, the backdrop for Yogi Bear’s picnic basket-stealing antics. Not to worry though, your own picnic basket will be safe in your camping cabin, as Yogi is likely hibernating during the winter. The park is most often visited in the summer when the pool and water attractions are open, which means the wintertime will give you the best chance for peace and quiet. If you’ve ever been to Myrtle Beach, you might be surprised that a place like Cypress could be so well hidden. A far cry from the hustle and bustle of the Grand Strand, Cypress shows the calmer, more natural side of Myrtle Beach that most tourists never get to see. 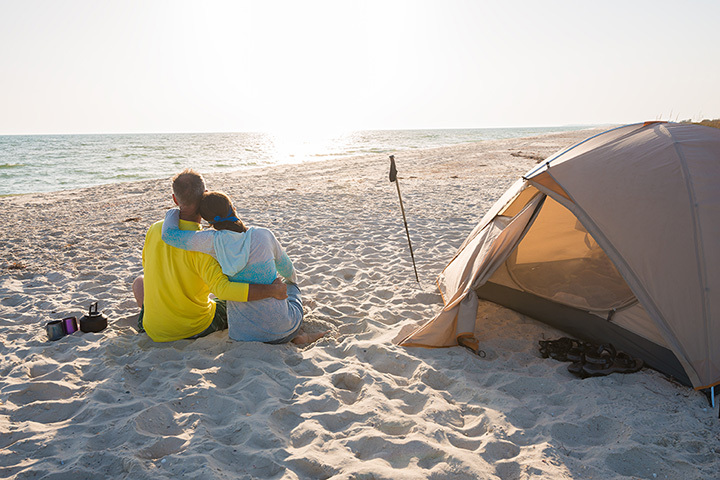 Located along the Intracoastal Waterway, cabin campers have some of the best opportunities of spotting wildlife that tend to shy away from the busier parts of the beach. This beautiful southern plantation is as breathtaking as they come. 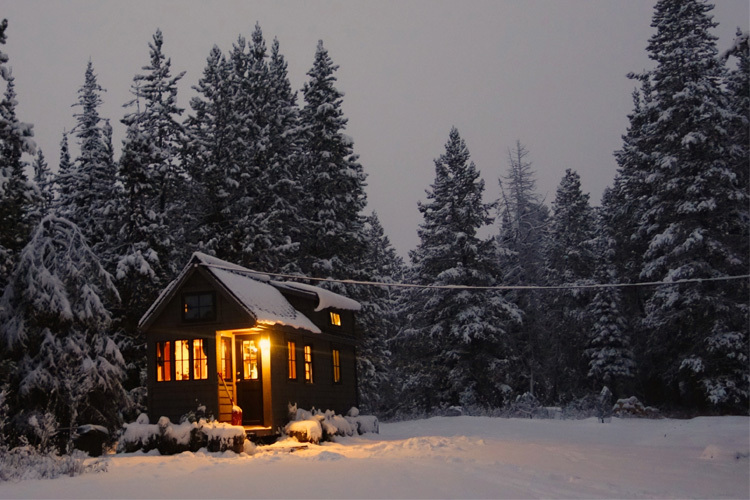 Some may be surprised to know the plantation offers a cozy rental cabin on site of this majestic property. The cabin includes a kitchenette and full bathroom to give you everything you need for a quiet camping experience. Deer, turkey, and other wildlife are known to frequent the area, so watch closely and you just might see some. Myrtle Beach offers several beach-access camping resorts, but the KOA has been a longstanding favorite for winter cabin rentals. Snowbirds and South Carolinians alike will enjoy the calmer atmosphere of Myrtle Beach in the winter, not to mention the lower prices on just about everything you’ll encounter on your trip. Just a short drive from all that the Holy City has to offer, winter cabin camping at this popular KOA. 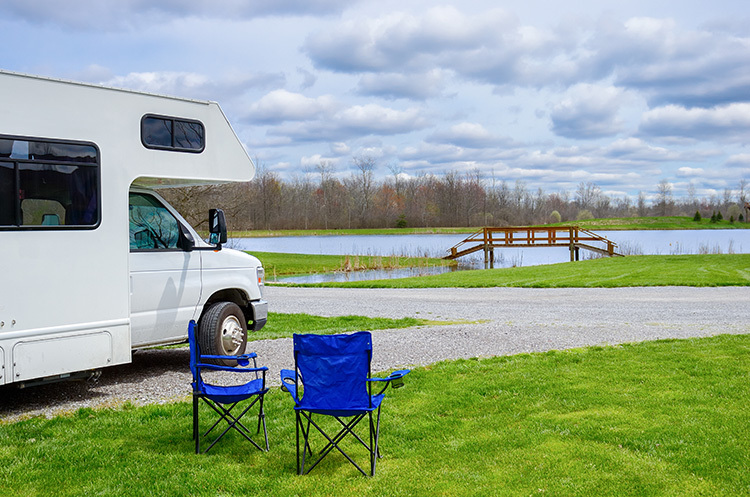 The lakeside cabins offer stunning views, plus you can take advantage of all the campground amenities like the nature trail, fishing, and a wagon ride tour of Oakland Plantation. The Charleston area is gorgeous year-round, but the winter offers a somewhat less stressful experience. Known for its prime fishing opportunities, Barnwell State Park is a favorite among locals and tourists alike. For cabin campers, there isn’t much to do outside of fishing and walking the nature trail, which makes it an ideal spot for those craving some quiet time after the holidays. The cabins here are fully furnished, giving you less to pack and more to make your stay enjoyable. Inside the park, you can indulge in a number of hiking trails, or relax by the Edisto River with a book or iPod. Historic Charleston is about 35 minutes away, which would make for a fun day trip once you’ve rested up.